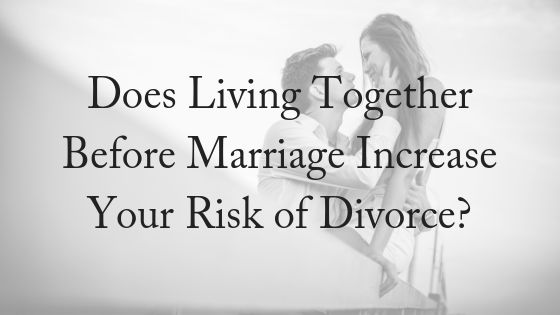 Does Living Together Before Marriage Increase Your Risk of Divorce? This association had been clear in study after study up to around 2007, and then a number of studies and social scientists declared that the association between living together before marriage and difficulties in marriage had disappeared. So which is it? Most experts say that the correlation between the two became better understood in recent years. For example, an important part of the story had to do with whether or not a couple started living together before or after having a come to a clear commitment to marry. Those who cohabited only after engagement (or marriage, of course) have an edge in odds for doing well in marriage compared to those who started living together before clarifying the big question about the future. A new study by Michael Rosenfeld and Katharina Roesler. published in the Journal of Marriage and Family finds that the “premarital cohabitation effect” lives on, despite earlier claims to the contrary. The premarital cohabitation effect is what this is all about: the finding (over many studies, over decades of time) that those who live together prior to marriage are more likely, not less, to struggle in marriage. They found that living together before marriage was associated with lower odds of divorce in the first year of marriage, but increased odds of divorce in all other years tested, and this finding held across decades of data. A number of relatively recent studies suggested that the premarital cohabitation effect had gone away for those marrying in the past 10 or 15 years. Rosenfeld and Roesler pay particular attention to a report from the National Center for Health Statistics, which suggested there was no increased risk associated with premarital cohabitation in the most recent (at the time) cohort of the National Survey of Family Growth (NSFG; 2006 – 2010). The NSFG is a large, ongoing sampling of those living in the U.S. with regard to many aspects of family formation, cohabitation, and marriage. Other researchers, such as Manning and Cohen, reached the same conclusion as the authors of the NCHS in 2012, incorporating data from as late as the 2006 to 2008 cohort of the NSFG. In particular, Rosenfeld and Roesler suggest that those who live together before marriage have an advantage in the first year because they are already used to all the changes that come with living together. Those who go straight into marriage without living together have a bigger immediate shock to negotiate after marriage, and as a result, have a short-term increased risk that’s greater than those already living together. But that’s short-term, and the risk remains long-term. Rosenfeld and Roesler also note that the risks of living together before marriage were even greater among those who had lived with more than just their mate prior to marriage. That finding is consistent with many other studies, for example, Teachman (2003). Another study was completed by Arielle Kuperberg, who was a graduate student at the University of Pennsylvania when something in her sociology textbooks caught her eye. All of the literature explained that the reason people who married younger were more likely to divorce was because they were not mature enough to pick appropriate partners. That’s when a lightbulb went off for Kuperberg. If younger married couples were more likely to divorce, did that mean that couples who moved in together at earlier ages were also at increased risk for broken marriages? Using data from the U.S. governments’ 1995, 2002, and 2006 National Surveys of Family and Growth, Kuperberg analyzed more than 7,000 individuals who had been married. Some of the people she studied were still with their spouse. Others were divorced. Then, instead of studying just the correlation between cohabitation and divorce, Kuperberg looked at how old each individual was when he or she made his or her first major commitment to a partner—whether that step was marriage or cohabitation. Moving in together without a diamond ring involved didn’t, on its own, lead to divorce. Instead, she found that the longer couples waited to make that first serious commitment, the better their chances for marital success. So how old should couples be when they commit? The research shows that at 23—the age when many people graduate from college, settle into adult life and begin becoming financially independent—the correlation with divorce dramatically drops off. 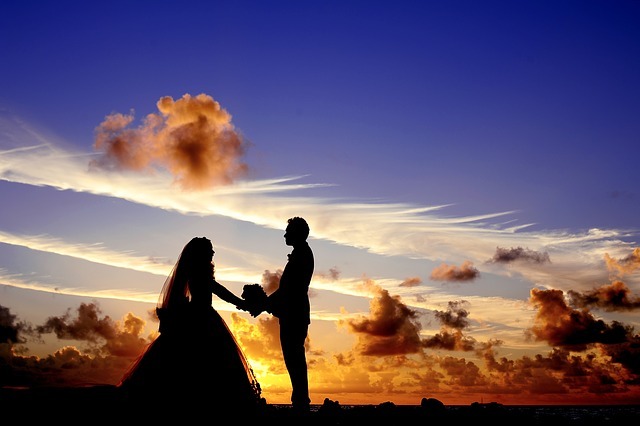 The science is beginning to show that peeking behind the curtain before choosing to settle into a lifetime of marriage isn’t in and of itself a mistake, but there are still risk factors. If you need assistance with any aspect of separation or divorce, please contact our friendly, experienced team today. We offer a FREE, 10-minute phone consultation.